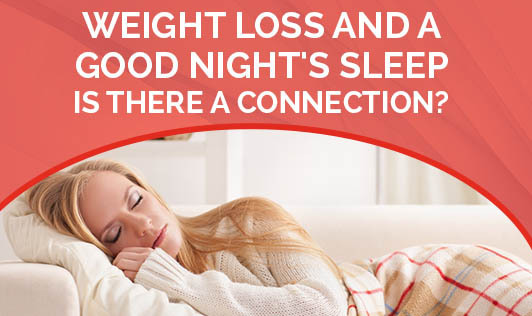 Weight Loss and a Good Night's Sleep: Is there a connection? With our busy and stressful lives, many of us wake up early, sacrifice sleep for work, and begin to go on fad diets to achieve weight loss. For some, weight loss happens quickly, but with others it is either very gradual or doesn't happen as expected. Research has shown that, there is a connection between insufficient sleep and weight gain. Inadequate sleep has an effect on the hormones. Leptin and ghrelin are hormones which govern hunger and satiety. "When you don't get enough sleep, it drives leptin levels down, which means you don't feel satisfied after you eat. Lack of sleep also causes ghrelin levels to rise, which means that your appetite is stimulated and your metabolism is low, so you crave for more food, resulting in weight gain. The ghrelin levels are believed to be affected by sleep loss. These two hormones when combined can set the stage for overeating, which in turn leads to weight gain. Insufficient sleep can cause the release of additional cortisol -- the stress hormone -- and can stimulate hunger, which can in turn increase appetite and weight. This is also linked to weight gain and type 2 diabetes. To conclude, each person definitely needs a minimum of 7 to 8 hours of sleep every night. If your sleep is disrupted, get up and do some activities like yoga or meditation that calm you down.